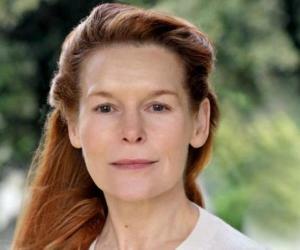 Alice Maud Krige is a veteran South African actress and producer. This biography provides detailed information about her childhood, family, personal life, career, etc. Alice Maud Krige is a veteran South African actor and producer, who has over the years, made her presence felt on stage, film, and television productions with great finesse and style. Her rich body of work as an actor, encompasses several plays, short films, feature films, TV movies, miniseries, and series. She made her film debut with the 1976 musical drama ‘Vergeet My Nie.’ She made her professional TV debut in 1979. She garnered attention with the supporting role of ‘Sybil Gordon’ in the 1981 British historical drama ‘Chariots of Fire.’ The same year, she furthered her recognition by performing in the ‘West End’ theater production of George Bernard Shaw's ‘Arms and the Man’ that brought her immense appreciation. She played the dual role of ‘Eva Galli/Alma Mobley’ in the American horror film ‘Ghost Story.’ She also essayed the role of the ‘Borg Queen’ in the 1996 American science-fiction film ‘Star Trek: First Contact,’ a role she later reprised a couple of times. Other notable works of this seasoned actor include her performances in films, such as ‘Skin’ and ‘The Sorcerer's Apprentice’; TV miniseries ‘Children of Dune’ and ‘Dinotopia’; and the TV film ‘Dynasty: The Making of a Guilty Pleasure.’ Alice ventured into production with the films ‘Jail Caesar’ and ‘Shingetsu,’ both of which had her performing too. She was born on June 28, 1954, in Upington, Cape Province, South Africa, to Louis Krige and his wife Patricia. Her father was a physician and her mother was a professor of psychology. She was raised along with her two brothers in Port Elizabeth. One of her brothers grew up to be a professor of surgery and the other became a physician. Recollecting about her early life, Alice once mentioned that she grew up in a "very happy family." Initially, she wished to be a clinical psychologist and enrolled at ‘Rhodes University’ in Grahamstown, South Africa. Things took a different turn when she developed a keen interest in acting after attending an acting class at ‘Rhodes University.’ This led her to obtain a ‘Bachelor of Arts’ degree and an ‘Honors’ degree in drama (1975), with distinction. She then relocated to London and attended the ‘Royal Central School of Speech and Drama.’ ‘Rhodes University’ later awarded her an honorary ‘Litt.D.’ degree in April 2004. She gained immense attention as ‘Sybil Gordon’ in the ‘Academy Award’-winning 1981 British historical drama ‘Chariots of Fire.’ The film, set in 1924, was a fact-based story on two Olympic athletes, Harold Abrahams and Eric Liddell. She portrayed the starring role of ‘Bathsheba’ in the 1985 American historical drama ‘King David’ that had Richard Gere in titular role. However, the film failed to impress the critics and the audiences. Alice starred as ‘Mary Brady,’ along with Brian Krause and Mädchen Amick, in the American horror film ‘Sleepwalkers,’ which released on April 10, 1992, and became a significant commercial success. While featuring in notable films, Alice continued to appear in several TV productions. Some of her prominent TV roles include her performances in the miniseries ‘Dinotopia’ (2002), ‘Children of Dune’ (2003), and ‘The Line of Beauty’ (2006); her roles in the TV movies ‘The Mystery of Natalie Wood’ (2004), ‘Dynasty: The Making of a Guilty Pleasure’ (2005), and ‘Persuasion’ (2007); and her performances in the TV series ‘Deadwood’ (2005) and ‘Spooks’ (2011). She played a powerful enchantress, ‘Morgan le Fay,’ in the 2010 American action-fantasy film ‘The Sorcerer's Apprentice.’ The film had Nicolas Cage, Jay Baruchel, Monica Bellucci, Teresa Palmer, and Alfred Molina in starring roles and became a huge commercial hit, garnering $215.3 million at the box office. 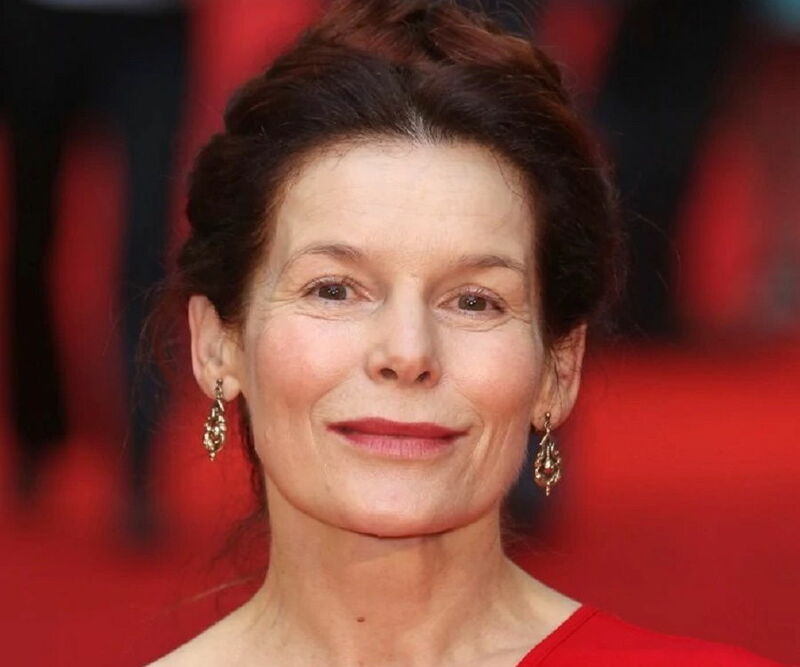 Alice ventured as a producer with the award-winning 2012 film ‘Jail Caesar’ that saw her playing ‘Pirate Captain.’ The film, written and directed by her husband Paul Schoolman, was shot in three working prisons and featured several serving prisoners, apart from an ensemble cast that included actors John Kani and Derek Jacobi. She remained part of the ensemble cast of the 2013 American superhero film ‘Thor: The Dark World’ that had Chris Hemsworth, Natalie Portman, and Anthony Hopkins in starring roles. Alice played an Asgardian physician, ‘Eir,’ in the film that grossed $644.6 million worldwide. She also produced the 2015 war drama ‘Shingetsu.’ Her starring role in the film, opposite Gunter Singer, won her the ‘Special Jury Award’ at the 2015 ‘International Film Festival for Peace, Inspiration, and Equality’ (IFFPIE) held in Jakarta. She received the award along with Jimmy Carter and Andy Garcia. Her last film so far was that of ‘Queen Helena’ in the American romantic comedy ‘A Christmas Prince,’ which released on ‘Netflix’ on November 17, 2017. She is married to writer and director Paul Schoolman since 1988.